A community solar garden is a solar array on a very large rooftop or a few acres of ground. Those who rent or have shaded roofs can subscribe, owning panels in the array and receive credit on their electric bills. Solar gardens laws are coming into effect in several U.S. states. Community Supported Energy is a way to finance a solar array to supply the electric load of a public building, non-profit, or house of worship. The array is “crowdfunded” by local small investors. A solar gardener is a combination community organizer / project manager who organizes the subscribers, finds the site, and guides the project through the development process. Solar gardeners aren’t hired – they emerge. A solar gardener works with local nonprofits, utilities, counties and municipalities, and traditional & social media. 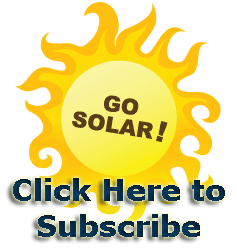 View solar gardener training videos below. Solar 101 provides an introduction to basic solar, finance, and utility terminology. What is the difference between a kilowatt and a kilowatt-hour? How many solar panels does it take to power the average home? Introduction to Solar Gardens answers basic solar gardens questions – What is a solar garden? How does it work? How can I start one in my area? How can the Solar Gardens Institute support my program? What is a solar gardener? 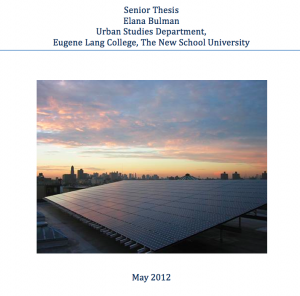 Community Solar Models Report by Elana Bulman – a graduate from the New School, Elana has put together a comprehensive report on community solar arrays and business models throughout the United States. Joy Hughes presented a paper at Solar 2014 titled “Open Standards for Shared Renewables”. The announcement by Tesla Motors that their patents would be released as open source has put the spotlight on open source and open standards within the renewable energy industry. Open source and open standards play a huge role in the computer and Internet industries. Just think of the impact of the open source architecture of the PC and the open communication standard HTML. Google built its business on the open source Apache server and the open source Android operating system. In the solar industry, Tioga Energy released an open source solar power purchase agreement. Could open standards and open source benefit the shared and community solar industry segment? Shared renewable energy systems offer credit on customer utility bills through virtual net metering. Shared systems (also known as solar gardens) are often managed by third parties, which must communicate the proportional ownership for each account to the utility on a regular basis. Utilities use a variety of different billing software packages and billing credit methodologies. Open communication standards would allow billing software vendors to develop shared renewable APIs, and might encourage the creation of open source tools for shared system managers. !Solar gardens cover an enormous range of scale, from a rooftop system shared between just two participants (the famous Ben and Jerry of Vermont), to the 20 MW Copper Crossing Solar Ranch operated by Salt River Project in Arizona. Some are owned and operated by utilities, some as entrepreneurial efforts by private corporations, and some by cooperatives seeking to fulfill the idea of shared community ownership. All of these implementations have something in common: a single renewable energy system provides power that is credited to multiple utility customers. The utility must keep track of who gets how much of the credit for the power produced by the system, and apply it to the participants’ bills. How can we make access to clean renewable energy a human right? On Friday, December 4th, Here Comes Solar in New York City hosted a webinar on shared solar inclusion for low to moderate income communities. The topics discussed here are applicable nationwide. GRID Alternatives empowers low-income families by installing solar PV systems on their homes, while training the families, job trainees, and the community at large in the installation process. They have developed a small solar garden in Colorado exclusively for low-income subscribers. Learn more in this video and PowerPoint from the San Francisco Bay Area Community Solar Confluence. Formerly called Feed-in Tariffs, CLEAN programs provide an excellent way to promote community power — and the Clean Coalition is helping to facilitate that. Learn more in this video and PowerPoint from the San Francisco Bay Area Community Solar Confluence. Another powerful model for community energy is community choice aggregation, or CCA. Learn more about CCA and the CleanPowerSF program in this talk by Eric Brooks of Our City, at the San Francisco Bay Area Community Solar Confluence. Learn how to promote good community solar policy, with this overview of state and municipal legislation for solar gardens and the U.S. Federal SUN Act. Learn how to build a network of hosts and subscribers in your community – how to combine policy advocacy, residential solar group purchase, community supported energy, and solar gardens in your area to create a comprehensive community solar program. Learn how to understand your power company’s motivations and work with them, how solar can help or hurt the grid, and how community ownership can avoid regressive cost shifting by making solar more equitable. Power lines are so ubiquitous that we tend not to notice them. Learn how to find an appropriate site for your solar garden where it can easily be connected to the grid. Learn about tax and securities laws and their implications for community solar; advantages and disadvantages of cooperative and LLC models; and ownership, leasing, and power purchase agreements. Learn about the latest in solar gardens finance in this video and presentation by Joy Hughes at the San Francisco Bay Area Community Solar Confluence. Learn how a Maryland church went solar with 35 small investors. Programs like this can be implemented in many places while we develop full solar gardens policy. At the San Francisco Bay Area Community Solar Confluence, we heard about some models emerging in the area. Learn more about them here! Learn how Everybody Solar provides free solar to nonprofits in this talk by Youness Scally. Andreas Karelas of RE-volv told us about his organization’s revolving fund for community solar projects. Learn about the model offered by the San Francisco Energy Co-operative, which allows everyone to participate in community power.